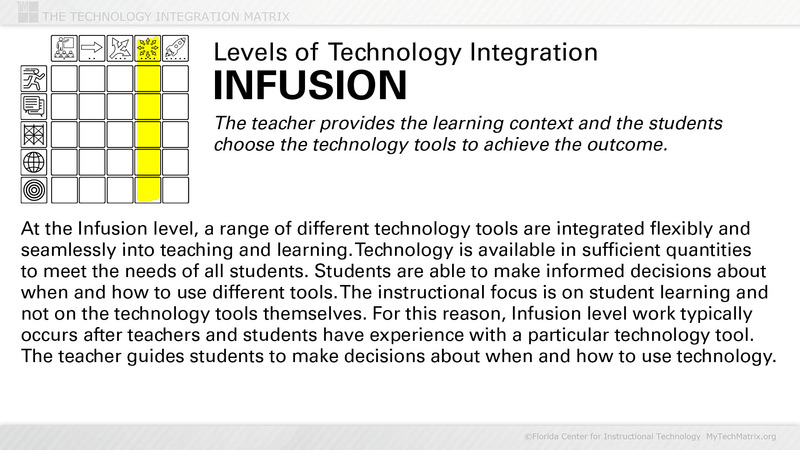 Presentation slide with text describing the Infusion level of technology integration. 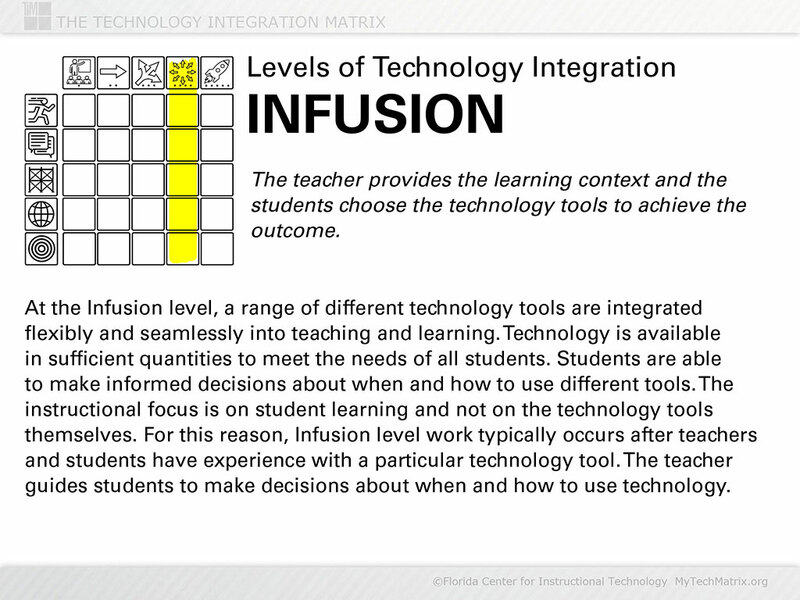 Infusion is the fourth of five levels of technology integration identified in the Technology Integration Matrix. At the Infusion level, the teacher provides the learning context and the students choose the technology tools to achieve the desired outcome.